As Of now they are disorganized..but i hope that will change. Ongoing A new SLRC site is being developed at http://slrcfa.hypermart.net/ .... take a look!!! 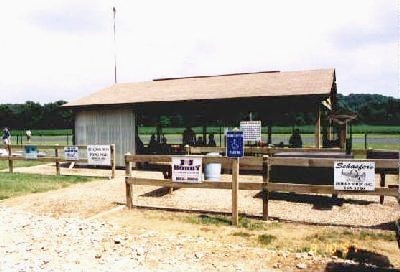 The club's private field is located at the northeast corner of Highway 21 (Tesson Ferry Road) and the Meramec River in St. Louis County. The club has members willing to help people through every stage of the hobby, including teaching you to fly, giving building hints, and generally increasing your confidence as a pilot. All levels of flyers and all interests (scale and giant scale, warbirds, ducted fans, helicopters) are represented. Several events are sponsored each year. Lenny has some new ideas for the website and would like to know what you would think about them. If you want to see them, they are here. Only a few are completed, but see what you think. We would like to collect members' reviews of the commonly-available flight simulators available for the PC (including the Tower Hobbies, CSM, Dave Brown and Ambrosia simulators). If you would like to send me comments about any of these simulators you have tried, I will put them all together and make a summary page to help other members planning to buy one of them. what you thought of the kit. Click here to view the submission form. Either print the form a give it to a board member, or paste it into an e-mail and send it to one of the addresses at the bottom of this page. We will develop a listing of different airplane reviews. (Thanks to Bart for the form and the idea). Are you on the Member Contact List? We want to make contact information available for club members, together with the radio channels that they currently use. This will help you to find an "under-used" channel when buying a new radio To be added to this list, simply send me an e-mail or call me with the appropriate information.